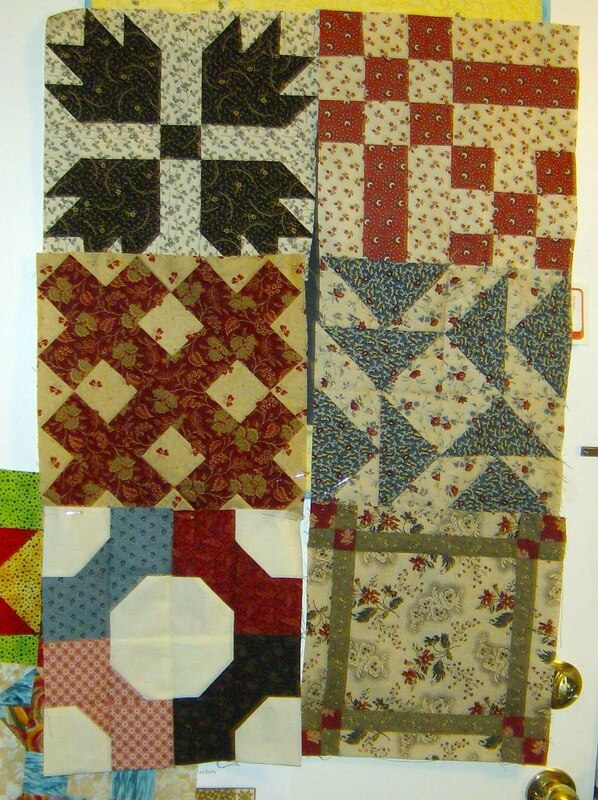 Two more of you wonderful Wildflower Rhapsody quilt makers have submitted pictures of their finished blocks. They are now entered into the drawing to possibly win some fabric. Check out the previous blog post under Block of the Month tag to see the fabric being offered. I must admit that I have not done my June block yet. I have been working on a Civil War era BOM that Elisa and I are taking through Beverly's Fabrics in Fair Oaks CA. I was not sure I wanted to make this quilt, but I think it is going to turn out to be beautiful. We are half way through with six blocks done. 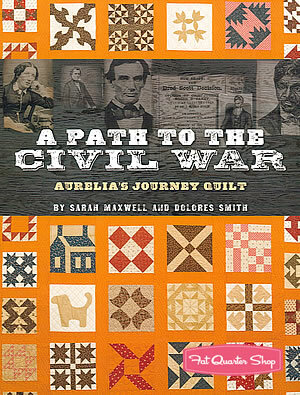 We are using A Path to the Civil War, aurelia's Journey Quilt by Sarah Maxwell and Dolores Smith. I love this book as it has history along with the patterns. It even has paper templates in the back, though I am not using them. I just use the easy cutting directions in each block pattern. If you are interested in this book, you can find it on our website at http://www.beehivequilts.com/civilwarbook. The following are the six blocks I have completed. I cannot wait to see what comes next. Since there are 44 different blocks to choose from, it is always exciting to get the new packet of material and the notice of which block we will be doing. So far they have all be fairly easy. Even the flying geese block. Yes. I sew. I also rip--more often than I would like to think about. How about you? My complaint about having to rip it out is not so much about the time I lost or the frustration of doing something wrong. It is more how do I get all those little pieces of thread out the fabric after I rip. If you do not get them out, they stick out like porcupine quills after you sew the new seam. Plus they get caught up in the new stitching. Then they are almost impossible to get out. Humph! What can be done. Elisa finally shared what she uses. 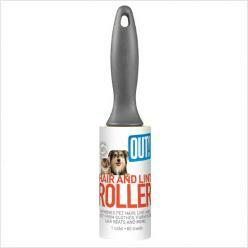 She buys those tape lint removers that you brush over you clothes when the cat got to close or you black skirt was next to your fluffy bathrobe in the closet. She just runs that over the left over stitches and out they come. I have been sewing for over 150 years (well, maybe not that long) and never thought of something so simple. I would just like to know why I did not have such an item when I was in my high school tailoring class. My teacher insisted the project be perfect - inside and out. She was always marking me down for how the inside looked. It just was not finished to her liking. Her comment was always, "Peggy, your projects look marvelous on the outside. Why can't you make the inside look as good?" I always responded with something like no one is ever going to see the inside. She did not appreciate that answer. My final came. We could make anything we wanted, as long as it was more tailored than just a simple shift or skirt. I chose to make a suit with jacket and skirt. I purchased a beautiful flue wide-wale corderoy. It was beautiful when completed, as usual. Now to get away from the teacher from taking points off because of inside finishing and to make the outfit just be a little classier, I lined both the jacket and the skirt. The lining was not just a hanging lining. I actually hand stitched it all down to cover all inside seams. It was nice. When it came time to have it graded, she insisted to come to each person's home and see what they made. She had me model this suit before she looked at it up close. After modeling it and showing her my sewing space and discussing the semester I had been in this class and my sewing talents as perceived by her, I had to take off the suit and hand it to her to check it all out. She turned it inside out and saw that I had lined it. It was done beautifully, she was pleased. Then she asked, "Did you line this to keep me from seeing your finishing techniques?" "Yes," was my answer. She just laughed. I got an A+ on the project and an A- for the semester. I was pleased. I would love to hear some of your ways of correcting ripping threads and/or your interesting sewing stories. We all have them. My sister's story would have to be the time she sewed through her finger nail. Okay all of you who are doing Beehive Quilts Wildflower Rhapsody block of the month pictures are now coming in. I am proud of you who actually make your blocks in the month they are sent out. 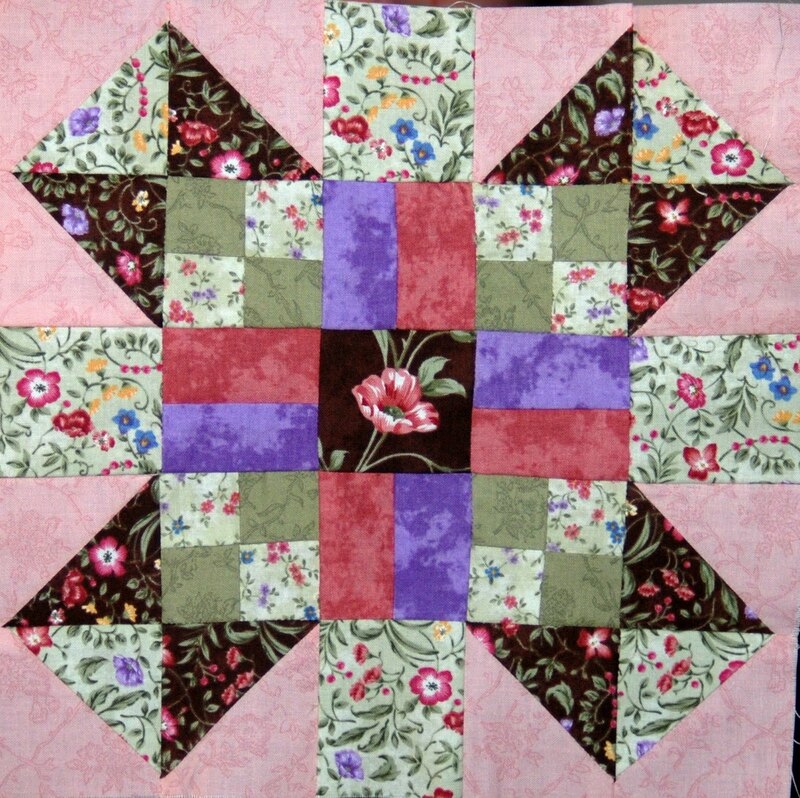 I am currently doing four BOMs, including Wildflower Rhapsody, and I seldom get them all done each month. One block each. Should not be that hard for me to keep them up. I guess it is just me. We have received four pictures showing completed blocks. Remember there is fabric at stake here. 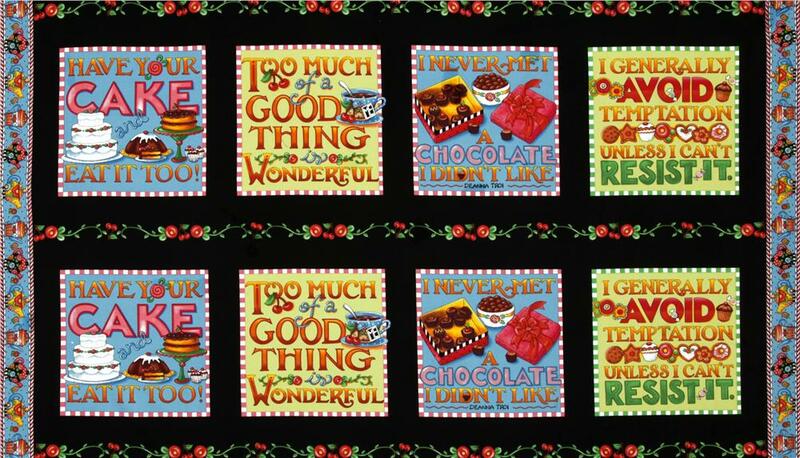 In fact it is Mary Engelbreits’ Tea Decadence fabric that is the incentive for this month. 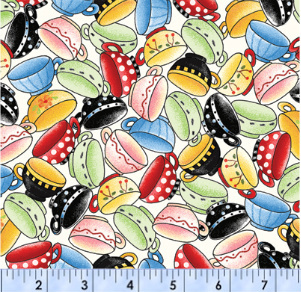 The lucky winner of the drawing will receive one panel of the design, as well as 1/2 yard each of the tea cups and stripes fabrics. Just send me a picture of your completed block and you can be entered to win this, too. Good job to Betty W., Joan G. and Garnalee H. for sending in their pictures already. Good job, ladies. The pictures might look a little different. Fabric always has color differences depending upon how the picture was taken. Send me your pictures and join the incentive drawing for this month. I received one via snail mail. It doesn't matter how I get it. Just so I receive it before the first day of July. I was first introduced to color crayons and quilts about two years ago. A customer in our shop, Trudy, was demostrating it at a quilt show. I was fascinated. It made sense as an easy way to make your hand embroidered design really pop out. Since then I have seen many quilts done in this matter. I have not tried it yet, but plan on it soon. I actually have in my stash a panel that looks like red embroidered flowers. It is kind of bland. When I bought it (several months ago), it was my plan to keep it simple and surround the blocks in beautiful red fabrics. Now I am going to buy myself some crayons and color in the fabrics. Then I will border the blocks in beautiful red fabrics! I was told the best crayons or other coloring devices would be to use Crayola crayons. You know, the ones we grew up using. A simple 64 pack would be perfect, but of course that large box would be even better. There are "quilting" crayons/pens available, but they are much more expensive. Plus you do not get the variety you can get using actual crayons. Be sure to heat set it after coloring. To keep your iron clean, be sure to put a pressing cloth on your ironing board. Mine is just a used towel. I would put a couple of newspaper pages or paper towels under that so the grease from the crayon cannot seep through. Put the design down on top of that with design facing up. Cover that will a couple of paper towels for absorption and another pressing cloth. For hints on making your design really look great, go to http://www.quiltmaker.com/articles/breath_of_spring__coloring_tips for more information. If anyone has done something like this before, please share your experiences. We would love to hear what you have done. Send me a picture, too. We would love to see your finished project. Make this pot holder today. 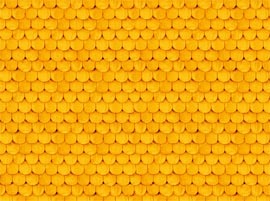 Just go to http://www.ctpubblog.com/2011/05/18/get-your-wheels-spinning-project/ to get the full directions. Thank you CT Publishing for this link. 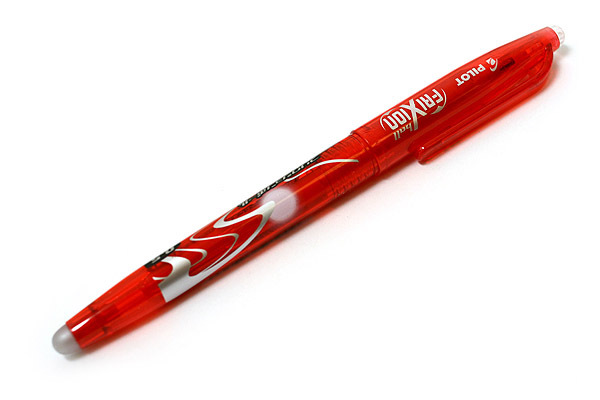 Have you heard or used one of these pens? How do I get one, you ask. We sell them on our website now. Just got them in this morning. They are only $4.50 each and come in blue, black or red. 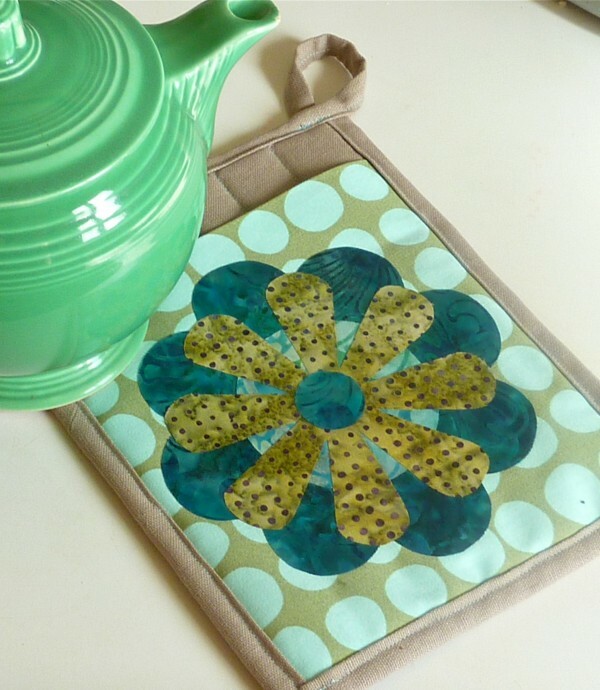 You are going to want, no need, one of these and maybe one for your best quilting bud, too. 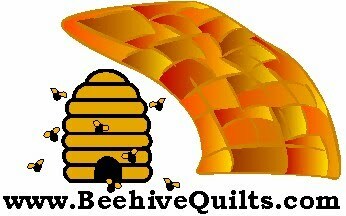 Go to http://www.beehivequilts.com/notions and scroll down to find them. 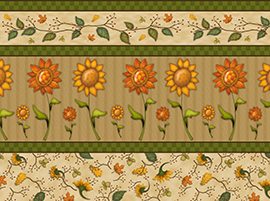 The above line is called Autumn Fest from Quilting Treasures. 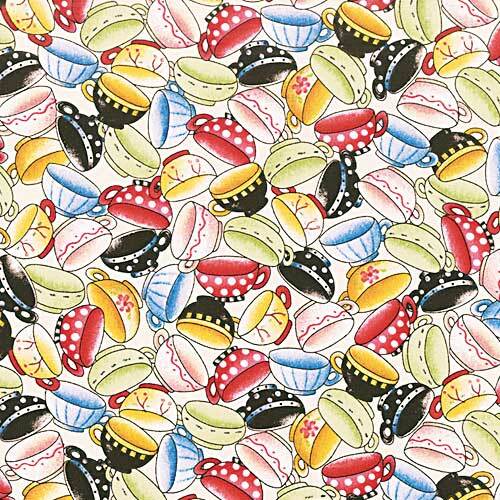 This is high quality cotton fabric and oh so pretty. Best of all there is a pattern that comes with it, which you can get for FREE! I love free. 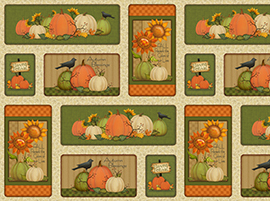 Go to http://www.quiltingtreasures.com/stuff/contentmgr/files/2e83abbd3456765adab389d17b839e50/download/autumn_festival___angela_anderson.pdf to get the pattern. Some fabrics for the pattern would have to be substituted, but we have the main ones. 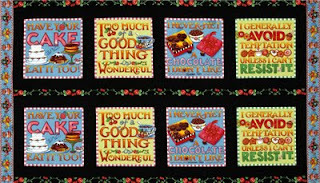 The above fabrics are also from Quilting Treasures. 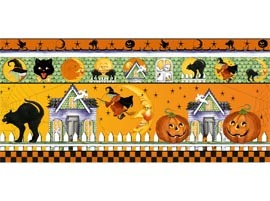 I you have read my blog for any length of time, I am sure you have picked up that I LOVE Halloween fabric and quilts. I just naturally turn towards them. 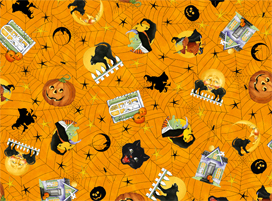 Here is a cute collection of high quality cotton fabrics and a FREE pattern to boot. 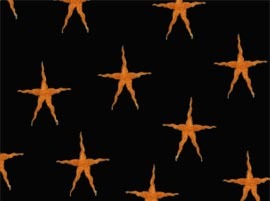 Go to http://www.quiltingtreasures.com/stuff/contentmgr/files/0b9fd24c7ebd4d1d0700afa010889d29/download/hairraising_halloween_420_web.pdf to get the pattern. We will be making kits for these fabrics, too, using this pattern. If you wish to purchase any of these fabrics, just go to our website at http://www.beehivequilts.com/ and click the "Fabric" tab on the right side. 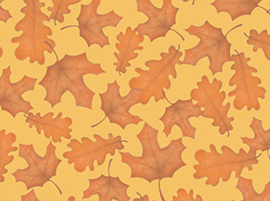 We just posted the following information on our website at http://www.beehivequilts.com/ to give you the opportunity to shop for that quilting item you need. Let us know if this works for you. 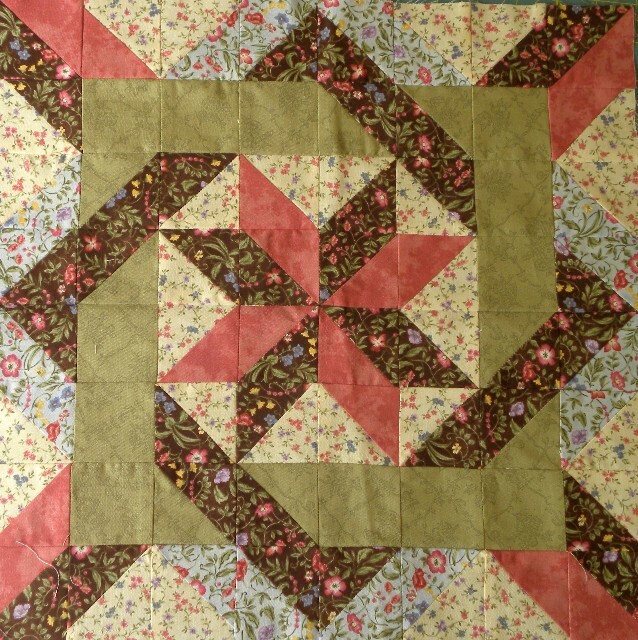 Looking for a particular pattern or book or need a quilting notion that is hard to find? Beehive Quilts has a great idea. We have access to several distributors of quilting/sewing items and order from them every four to six weeks. If you have something special you want, look on our site first, as our website carries some notions and patterns. The link below carries most of the notions and patterns available. You have the ability to look through Checker's website and put items on your "wish list" on their site. 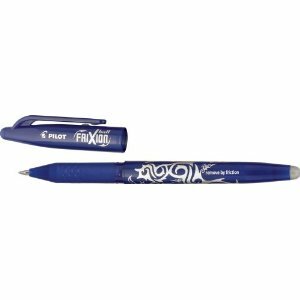 Before you leave the site, print out the wish list or write down the item description and number and price. Fax us the list at 916-517-1420 or call us at 530-867-1154 or e-mail us at contact@BeehiveQuilts.com, and we will place it on our next order. Checkers also carries fabric. 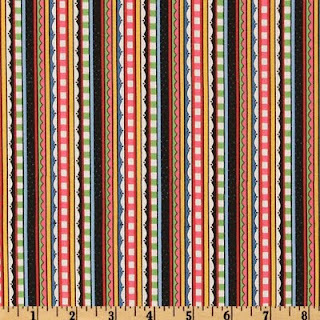 If you find a fabric you need and want it special ordered, a pre-paid order of 6 yards would have to be paid before we place the order with Checkers. Just let us know how we can serve you better. The new block has been cut and packaged and ready to mail. It should go out tomorrow, so stay on the look out for it. It is a real pretty block - the same as the other three. Just as a teaser for what is yet to come for those of you that are purchasing the finishing kit (or will), here is the large center block. The finishing kit will be sent to those that have ordered it towards the end of August. 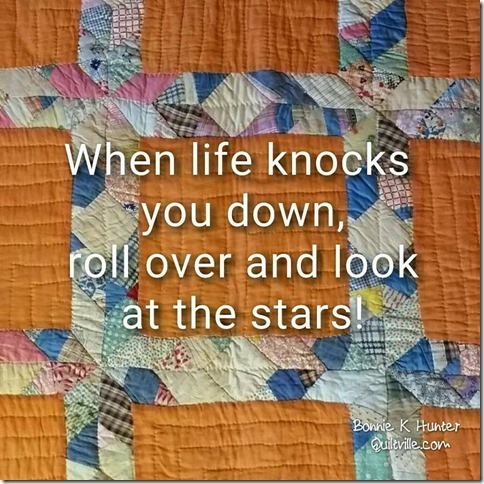 If you have not ordered it, you might want to to make sure you will have the material needed to do that center block and all the side blocks to make the full quilt. Congratulations goes to Gloria Daniels. She won the drawing for the book by Sharyn Craig - Layer 'em Up. It will come with your block. Those of you involved with the Beehive Quilt's BOM Wildflower Rhapsody remember there is a drawing each month for something special. To enter the drawing all you have to do is e-mail (or snail mail) us a copy of your block when you complete it. On the last day of the month, all the names will be put into a jar and the winner drawn. So join in and send us a picture of your June's completed block before the last day of June. 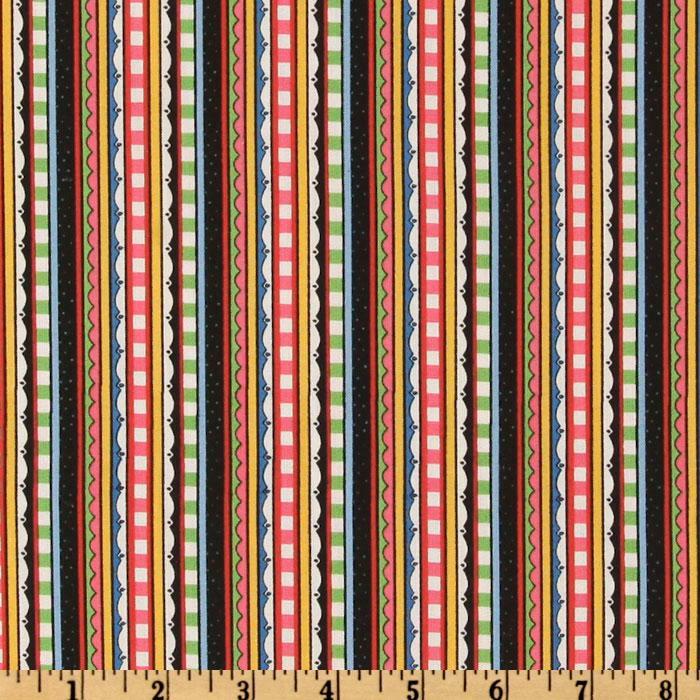 The prize this month will be: one panel of Mary Engelbreits’ Tea Decadence Block Fabric and ½ yard of the coordinating fabric Tea Decadence Tea Cup fabric and ½ yard of her Tea Decadence Striped fabric. I do not normally post an item like this, but you just have to watch this video. There really is not anything more you can say other than "Oh, so cute."